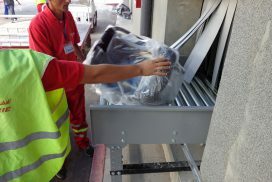 After having been checked-in, bags must be screened using single-view, dual-view, explosive detection (EDS) or tomography X-ray machines, depending on the IATA standard adopted by the airport. 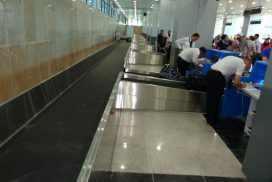 Depending on the number of bags to be handled during peak periods or throughout the year, baggage-handling facilities should be calculated on the basis of T40 (ability to achieve continuous luggage flows apart from during the 40 busiest hours of the year). Level 1 screening is done either automatically by a machine (standard 3) or by an operator (standard 1 and 2). In case of doubt in standard 3, the machine signals for a human operator, who has a short period of time in which to make a decision. If the operator also has doubts and requests further information, the bag is then rejected to give the operator more time to analyse it. 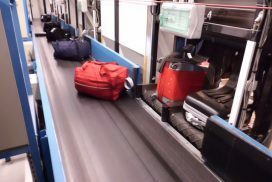 All these rules and their ever-evolving requirements oblige airport operators to completely rethink their baggage flows. 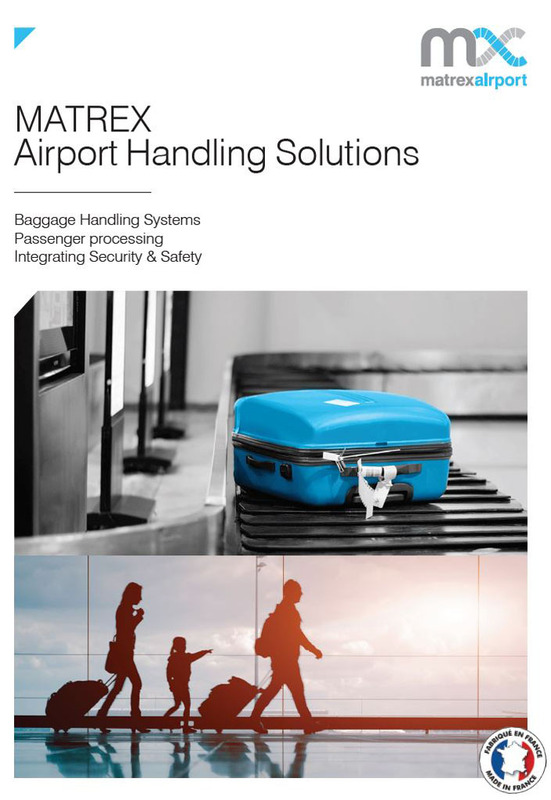 MATREX help its clients through that process to optimise the cost of investment and the baggage flow to the aeroplane. 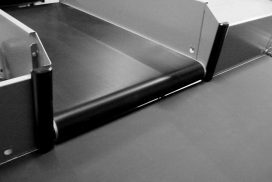 We offer automatic baggage-handling solutions of up to 2,000 bags per hour. 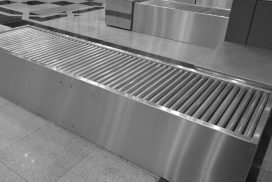 Our company can meet the vast majority of needs of regional and international airports on projects with flows not exceeding several million bags per year. Flat carousel with semi-rigid overlapping scales pulled by chain and propelled by a Caterpillar drive unit. 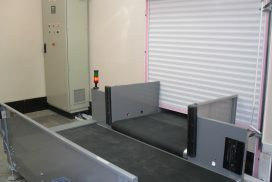 The accuroller enables hold luggage to be collected either for transfers or prior to being re-routed. 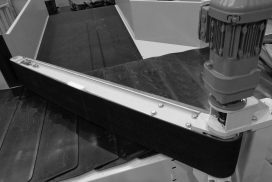 A diverter enables a series of bags with a distribution of 80 kg per linear metre to be diverted. 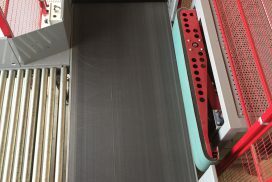 The introduction of the blade is very quick (1 or 2 seconds) but it is suited for sorting bags at low throughput rates. 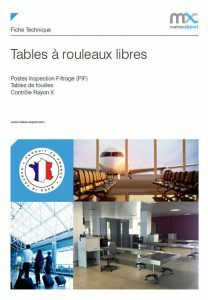 Strip curtains can be used to visually define different areas of the airport. They are very suitable as windbreakers between air-conditioned passenger areas and baggage-handling zones that are often outside or under cover. The curtain is comprised of a double layer of overlapping PVC strips, of between 50 mm and 100 mm in length, depending on needs and adapted to the client’s plant. The strips are fire resistant to M1 standard. 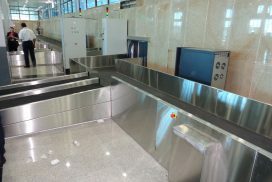 Roller shutters serve as a means of blocking access to different restricted areas when baggage flows are at a standstill. To establish an anti-intrusion zone, the roller shutter is equipped with galvanised blades. To establish a simple partition wall, the roller shutter can be equipped with PVC blades. MATREX also offers the option of installing flame-arrestor shutters on site. 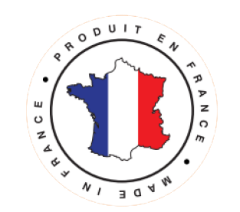 These shutters meet French fire regulation NF S 61-937-1 and 61-937-4 and are manufactured by a French specialist.